The second annual I Am Stronger rally was a success! 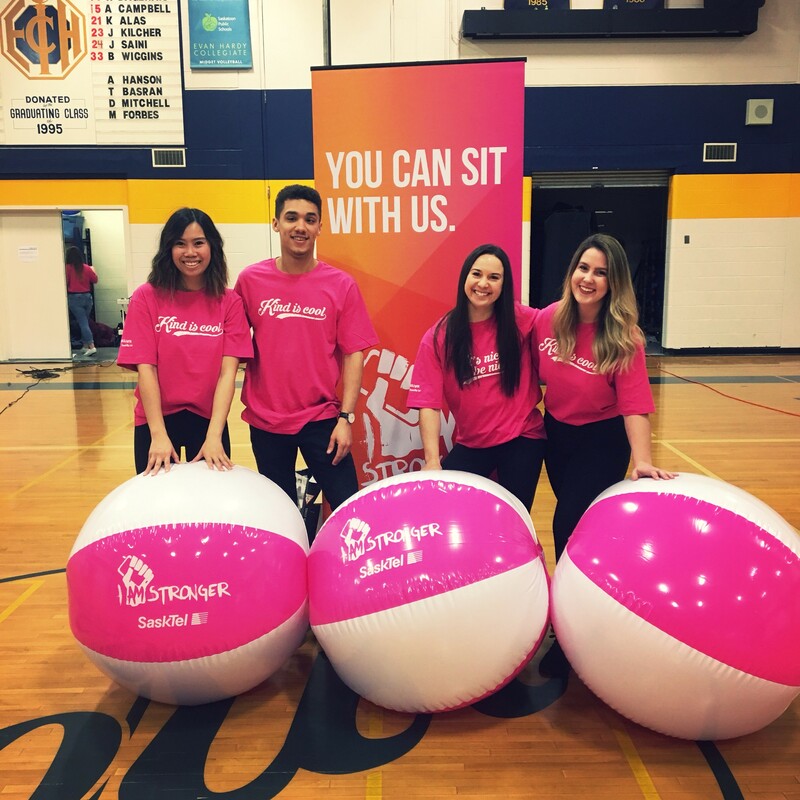 We had so much fun celebrating Pink Shirt Day on February 28th at Evan Hardy Collegiate in Saskatoon. Along with prizes, t-shirts and 900 pink cookies, we also brought in Dr. Alec Couros to speak to the students about the impacts of online behaviour. The I Am Stronger rally is just one effort we do to bring awareness to the issue of bullying. We're passionate about promoting positive relationships and supporting a culture of kindness within our schools and communities. We all have the strength to make a difference!